You don’t have to have a college degree to help advance scientific learning in plant and nature topics. You can help scientists collect data on a number of local and national projects. Here are a few projects that might interest you. 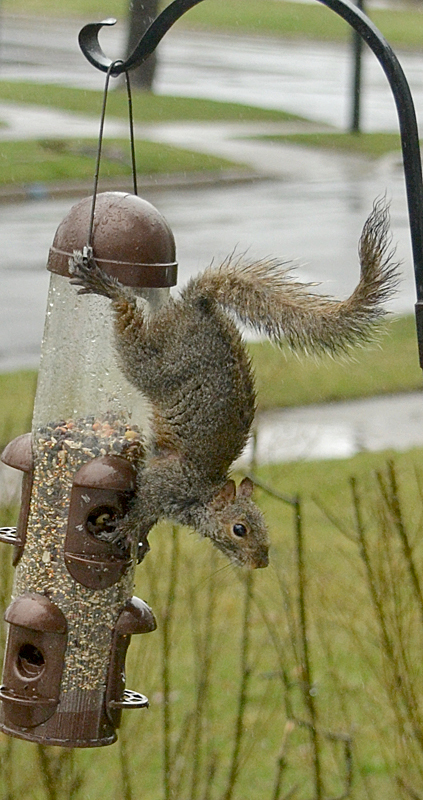 Take a look around your home, office, school or other location and, whether you see squirrels or not, enter your observations at the Project Squirrel website. Scientists want to know where squirrels are as well as where they aren’t. Squirrels are useful organisms to study because they are active during the day. Squirrels can be important indicators of local ecology because they are resident in small territories and active year round, they require a range of resources that are also important to many other urban animals, and their populations rise and fall with the same predators and environmental conditions that affect our neighborhood wildlife. You can submit as many observations from as many places as you like. It’s most effective to submit at least one observation per site per season, but the more observations the better. Anyone of any age can participate. They suggest making it an office game or a classroom project, comparing notes with friends in other states or getting your family involved—everyone can observe nature. Project FeederWatch is a winter-long survey of birds that visit feeders at backyards, nature centers, community areas and other locales in North America. FeederWatchers periodically count the birds they see at their feeders from November through early April and send in their counts. The data help scientists track broadscale movements of winter bird populations and long-term trends in bird distribution and abundance. Anyone interested in birds can participate. FeederWatch is conducted by people of all skill levels and backgrounds, including children, families, individuals, classrooms, retired persons, youth groups, nature centers and bird clubs. Participants watch their feeders as much or as little as they want over two consecutive days as often as every week (less often is fine). They count birds that appear in their count site because of something that they provided (plantings, food or water). New participants are sent a research kit with complete instructions for participating, as well as a bird identification poster and more. You provide the feeder(s) and seed. Then each fall participants receive a 16-page, year-end report called Winter Bird Highlights. Participants also receive the Cornell Lab newsletter. There is a $18 annual participation fee for U.S. residents ($15 for Cornell Lab members). Canadians can participate by joining Bird Studies Canada for $35. The participation fee covers materials, staff support, web design, data analysis, and the year-end report (Winter Bird Highlights). Project FeederWatch is supported almost entirely by participation fees. Bumble Bee Watch is a collaborative effort to track and conserve North America’s bumble bees. Because bumble bees are widely distributed, the best way to keep track of them is with an army of volunteers across the country armed with cameras. With any luck, you might help scientists find remnant populations of rare species before they go extinct. To participate, create an account, then go out and check your garden, parks or other areas for bumble bees. Be sure to snap a photo (learn more about how to photograph bees here) and then sign in and submit your data via the Bumble Bee Sightings form. Bumble Bee Watch is a citizen science project through the partnership of the Xerces Society, the University of Ottawa, Wildlife Preservation Canada, BeeSpotter, The Natural History Museum, London, and the Montreal Insectarium. 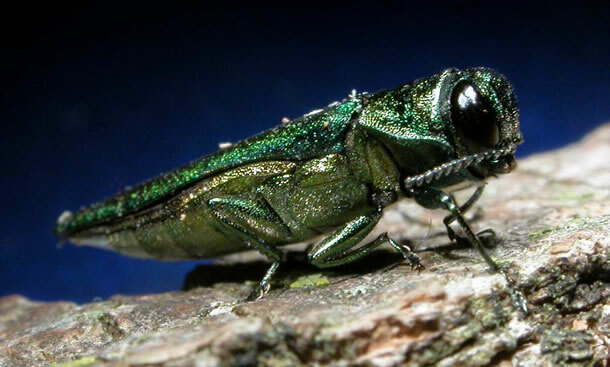 The emerald ash borer (EAB) was confirmed in Chautauqua County last spring, and the Master Gardener Program of Cornell Cooperative Extension would like to evaluate what Chautauqua County residents already know about EAB, what they want to know and how to best get information out in the community. Your input is vital for developing educational outreach materials and programming. If you live in Chautauqua County, please take one to two minutes to answer 10 quick questions on the emerald ash borer here. Please share this survey with friends and family who live in Chautauqua County. Downy woodpeckers and hairy woodpeckers eat emerald ash borer (EAB) larvae and leave distinctive marks on ash trees. You can get online training on how to identify the damage, then report the damage to iMapInvasives, the New York State Invasive Species Database. See details here. For more information, contact imapinvasives@nynhp.org. To keep up on more projects like this, check out a couple of local publications: Enviro-News and the blog of Grow WNY. Enviro-News is a free email newsletter sponsored by Daemen College’s Center for Sustainable Communities and Civic Engagement and Global & Local Sustainability Program. Enviro-News links to great articles, upcoming activities and tips to help the environment. For more information, contact Barbara L. Young, professor of biology at Daemen, at byoung@daemen.edu. On the GrowWNY blog, you’ll see items on local environmental issues and activities, such as the new Plot the Lot initiative. Grassroots Gardens of Buffalo, with the help of the University Heights Tool Library, is trying to map all the vacant lots in the City of Buffalo. Discovering how many vacant lots there are and where they are located will allow the neighborhood to assess its own needs and reclaim vacant land through practices such as community gardens, urban farms or pocket parks. Name the next corpse flower at the Botanical Gardens & more updatesTar spot affects maple leaves in WNY; is there anything you can do about it? Good to help out on reporting. The bees especially. Squirrels, well…too many to count. Another for the list: Cornell U is researching NYS ladybugs. NYS Lost Ladybug Project http://www.lostladybug.org/index.php. There is all sorts of info on them, how to report, projects for kids, etc., on the site. This is an easy backyard and beyond project. Unfortunately, there is little info on the larvae, the real predators. Elizabeth, thanks so much for sharing that information on the Lost Ladybug Project. I hadn’t heard about it. That’s very cool! Donna, we have a lot of squirrels, but we have even more bees!